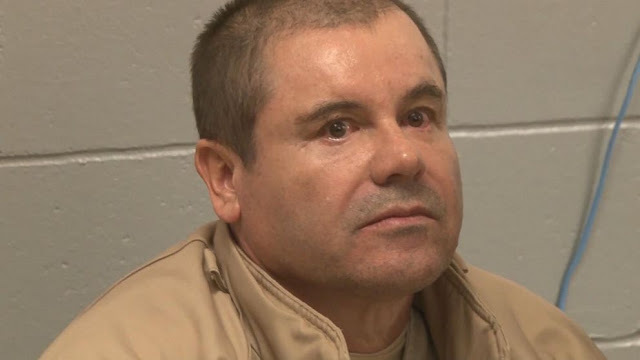 Mexican drug lord Joaquín "El Chapo" Guzmán was convicted on all counts by a jury in New York Tuesday, after a lengthy trial that laid out the drug trade's brutality. It took the panel at the Federal District Court in Brooklyn over a week to come to a verdict, as jurors went over reams of documents and testimony from 56 witnesses. The prosecution made the case that Guzmán built a multi-million dollar empire to smuggle cocaine from Colombia, through Mexico, into the United States. Guzmán's defense attempted to play down their client's role in building the logistical infrastructure behind the drug trade, portraying Guzmán as an underling of his associate, Ismael "El Mayo" Zambada. Guzmán is the highest-level drug lord ever extradited from Mexico to the United States. He became famous as a foil to Mexican authorities, escaping twice from maximum security prisons and avoiding several close calls with security services.